Numerous books have been written chronicling the history of the London Underground. This is evident from Andrew Martin's contribution to the genre, as he quotes frequently from several of them, interweaving between their deployment his own observations about the state of "Tube" today. He is well equipped for this latter task; the son of a railway man (as he informs his readers in his introduction and periodically reminds them throughout the book) and the author of a series of detective novels set on the rails, he wrote a column in the late 1990s on the Tube for the magazine of one of London's many newspapers. In effect the book represents a blending of his aesthetic commentary and secondary research into a friendly account of London's iconic transport system. 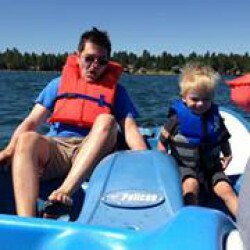 The resulting book is by turns entertaining and informative, with little nuggets of trivia that often are missing from more serious accounts. His affection for his subject is obvious; what is less so is the intended audience for his book. 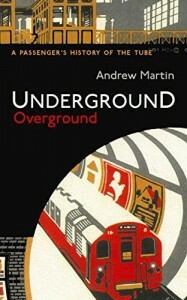 Martin tells a history of the Underground familiar to anyone with even a passing command of the history of his subject, yet his book presumes a familiarity with both the metropolis and the various Underground lines built over the decades to serve it — a presumption underscored by the otherwise unaccountable absence of maps. In this respect it might be best suited for a longtime rider familiar with the intricacies of the Underground today who wants some historical context to explain some of the system's many oddities and quirks. Though such an audience may be a narrow one (and they can add a half-star to my rating here), they will undoubtedly find Martin's book an agreeable companion as they go clacking along its rails or zipping beneath the city it serves.